An important exhibition celebrating the literary and cultural legacy of Percy Bysshe and Mary Shelley, and Mary’s parents, William Godwin and Mary Wollstonecraft, first presented at Oxford’s Bodleian Library a year ago, has come to North America. 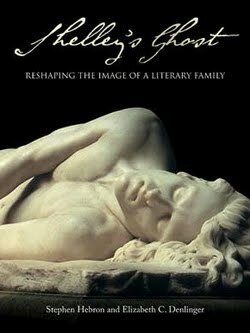 Shelley’s Ghost is presently showing until June 24 at the New York Public Library. The exhibition includes letters, diaries, art and artifacts and, seen for the first time ever outside England, actual manuscript pages from Mary Shelley’s Frankenstein. A number of companion activities are scheduled, with more to be announced along the way. 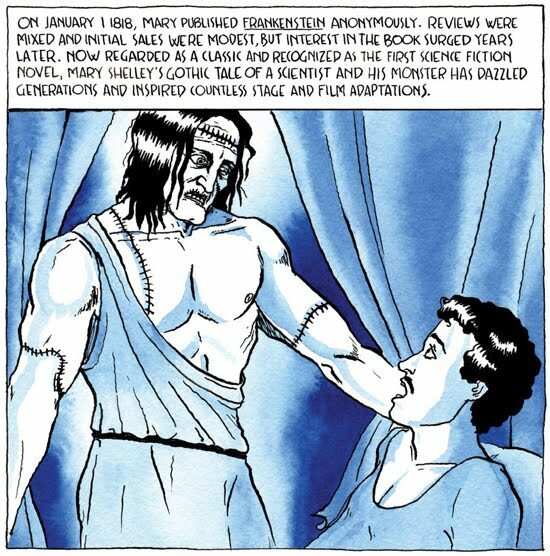 There are a number of documents online: The NYPL’s exhibition page and companion website featuring numerous links, and an Illustrated Biography of Mary Shelley by Charles Cuykendall Carter and artist Derek Marks. There is also an exhibition companion volume available from the Library’s bookshop. I’ll be traveling to New York to see this later this spring, and I’ll report back.